Aluminate cement, product code as CA, also known as high alumina cement, is made from bauxite or limestone through melting or sintering. It is a hydraulic binder which mainly contains fine monocalcium aluminate and dicalcium aluminate. If necessary, it is also possible to add an appropriate amount of α-Al2O3 powder in grinding cement which contains more than 68% of Al2O3. The basic chemicals of aluminate cement are Al2O3, CaO, SiO2, Fe2 O3, etc. The main work performances are fineness, setting time and strength. Aluminate cement is known for its fast hardening, early strength, acidic salt corrosion resistance, and hardening at low and high temperatures. So it is initially used in many defense projects and rapid repair projects, and gradually used in industrial and civil buildings. But due to the crystal form transformation in hydration products of aluminate cement, porosity of cement and stone increases, which would result in strength decreasing in late period and makes people held a cautious attitude while applying aluminate cement in structural engineering. Now the problem can be handled by controlling concrete water cement ratio and cement dosage, using with composite materials containing silicon and calcium or aluminates/ silicate salts, or avoiding to use under circumstances with high temperature and moisture. With the development of the mortar industry, the actual engineering requirements mortar with higher performance. 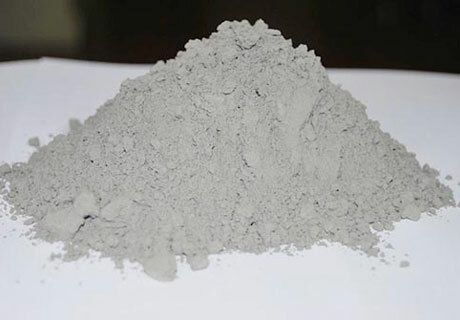 The rapid setting, early hardening and thermal shock resistance, chemical and microbial resistance, impact and wear resistance of aluminate cement, can bring excellent performance to many special mortars, which makes mortar meet the high standards of the industry. Self-leveling mortar is also a very important application area for aluminate cement. Among the various dry mortar products, self-leveling mortar is recognized as the most complicated product system, and has many restrictions during construction and application. To meet these requirements, the choice of high quality and stable aluminate cement is very basic and important.